It always helps when you are clear about what you want. Are you about to hire electricians to install a ceiling fan or to renovate your home? The size and scope of the job will help you to look for electricians as well as to shortlist in the next step. Thus it is important to define your electrical goals, search for electricians in Perth accordingly. 2. Shortlist your electricians - Per your requirements and budget. Once you have a list of electricians in Perth, you can shortlist them according to your requirements and budget. Are you looking for residential, commercial, industrial, or domestic electricians? You can also look at the electricians’ portfolio, website or clientele to see whether that is the right electrical team for you. Once you are down to your top three choices, check for referrals and what people are saying about their work through their online reviews. If you feel they are qualified, reliable, and friendly (like our team at Response Electricians), you can move on to the next step. 3. Meet or call your electricians - Interact and inquire. Electrical services provided -- Do they provide the electrical services you are after? Qualification -- Are your electricians qualified and licensed? How much electrical experience do they have? Safety protocols -- What safety standards do they deploy for their and your safety? What about the insurance coverage? Is it included? Once you have sorted the technical stuff, gauge their personality. Is this the team you want to work with? If the answer is a resounding yes, let’s go to the next step. 4. Get a written quotation from your electricians - Check the services and budget. Now that you have made up your mind, get quotations from the electricians. It will ensure that you are on the same page and stay within your budget. Check that the prices and services are correct and priced reasonably. If you feel like you can depend on them for your electrical needs and solutions, then you are just a step away. 5. Hire your electricians - Well done. You are all set! After the above four steps, you are ready to hire the electricians to make your home comfortable, safe, and functional. Work out the schedule, terms and conditions, exact pricing details, time, and other details when you make this call. Just before you hire, inquire whether they will provide the Electrical Safety Certificate after completing the work. If they do, you know you have made the right decision. If you are looking to hire electricians in Perth, we would love to talk to you. Our transparent and efficient approach to work will make your life easy. To talk to our team of friendly and reliable Perth electricians, reach out to us. 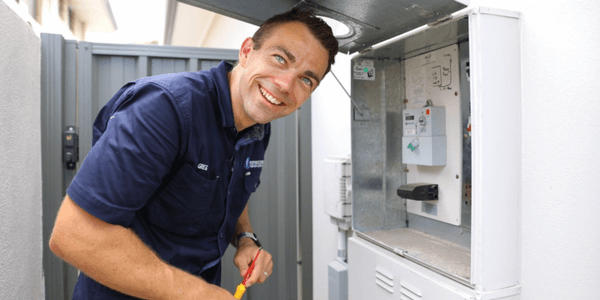 How to hire quality electricians in Perth? Older PostClipsal Nero Products - The Future Is Here!